Check back for listing of roses for sale. Always wanted to grow roses but don't know how? Enroll in the 2019 Honolulu Rose Society Rose School and learn all the basics of growing roses. In no time you'll learn the necessary skills to plant, fertilize, prune and maintain your roses. Attend one class each month from March through June and you'll develop the confidence to grow beautiful roses in Hawaii. What's In Your Rose Garden? 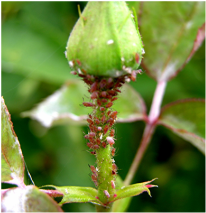 See what common rose pests and diseases live in your garden. Perhaps the world’s most famous rose – the Peace rose – has one of the most dramatic stories to tell. Developed by Meilland International on the eve of World War II, a clipping of the rose made its way from France to the Conard-Pyle Co. for safekeeping during the war. Coincidentally, the AARS named Peace its only winner for 1946 on the same day Japan surrendered, effectively ending the war. 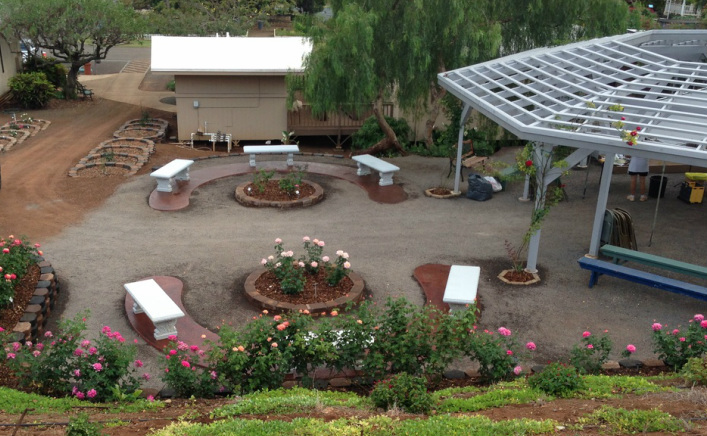 The Honolulu Rose Society (HRS) is a non-profit organization and an affiliate of the American Rose Society. Established in 1975, the HRS is comprised of individuals from all walks of life who share a love for roses. Echoing the objective of our parent organization, the aim of our society is to encourage the fostering and culturing of roses in Hawai'i. While the advice and information on this web site is believed to be true and accurate, the Honolulu Rose Society cannot accept any legal responsibility for any errors or omissions that have been made. The Honolulu Rose Society makes no warranty, expressed or implied, with respect to the material contained herein.